Vincent van Gogh struggled with mental illness. Financial, familial, romantic, mental: it is no small feat to record all of the obstacles that Vincent van Gogh faced in his lifetime. His erratic behavior presents itself perhaps most clearly in his romantic life. As a young man, he fell in love with his first cousin, Kee. To prove his love for his cousin, he held his hand in a kerosene flame. Eventually, he settled down with a prostitute, but this only caused more tension with his family. Destitute and alienated from society, van Gogh was prone to nervous breakdowns whenever he felt that one of his few important relationships was threatened. One such incident occurred after a nasty argument with his roommate, fellow painter Paul Gauguin, and drove him to cut off his own ear. Eventually, van Gogh's depression led him to commit suicide. 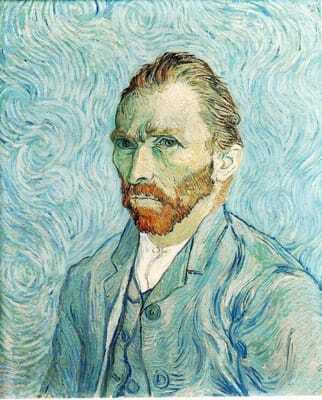 Modern day psychologists speculate that van Gogh suffered from bipolar disorder.